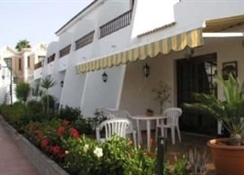 Positioned 33km (about 25 minutes transfer) from Las Palmas Airport, 2km north of Maspalomas dunes and Maspalomas Golf course and about 3km from Playa del Ingles resort centre. It is in a relatively quiet area. 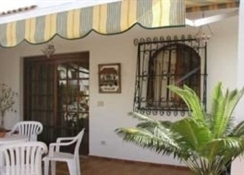 A picturesque little bungalow complex in the Campo Internacional/Maspalomas area. 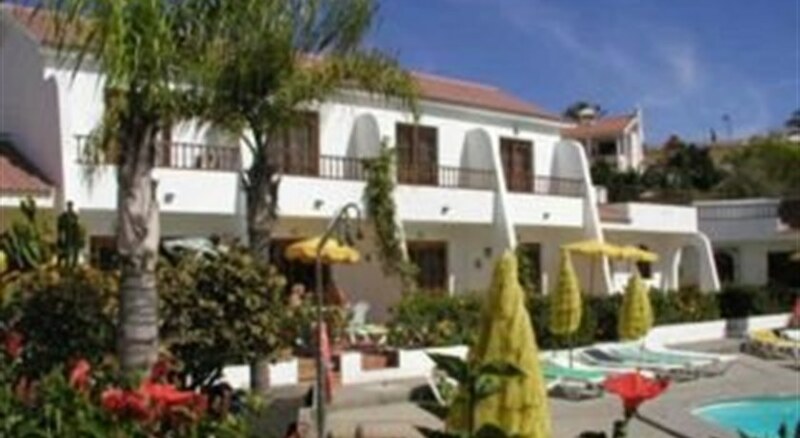 This friendly, family run complex has a swimming pool with sunbeds, small shop, reception, bar/cafeteria and a restaurant that serves Canarian and International meals at reasonable prices.All the accommodation is in bungalow type apartments, the majority of which are actually on two levels/duplex. 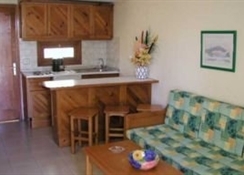 Each one has a TV with satellite channels, full ensuite bathroom and kitchenette. 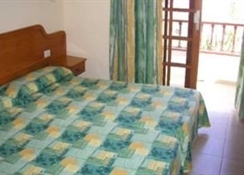 Coffee machines, toasters, tea pots can be requested from reception (free of charge).There is free Wifi in the reception area, safety deposit boxes are available and there is a laundry room.Rooms have twin beds plus a sofa bed. a fourth sofa bed is available for adults but may be cramped.There is a free bus shuttle service that runs 3 times per day from October to May.The official category is 2 Keys. We have classified this as 3+ Sun. Reception is not 24 hours so guest need to contact the hotel if they plan to arrive between 22.00 and 09.00. Contacts will be given on booking.